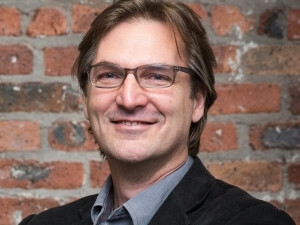 Agile thinking dates as far back as 1903, with Henry Ford and his Model T, says Stephen de Villiers Graaff, principal agile consultant at DVT. Henry Ford: brilliant engineer, visionary businessman, agile evangelist. Sometimes, we need to look back at where we came from to understand where we're going. 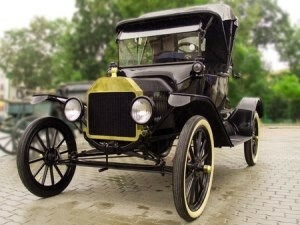 How far back is debatable, considering how quickly things change, but if you're interested in how agile came to be, the story of Henry Ford and the Model T is a good place to start, says Stephen de Villiers Graaff, principal agile consultant at DVT. At the turn of 20th century, Ford was still working on a prototype version of his gasoline engine when one of history's most famous inventors, Thomas Edison, offered him the lucrative position as chief engineer in his company. After consulting with his wife, Ford declined. It turns out that Edison, rather than embracing Ford's work, considered it a "charming hobby", and not something that should interfere with his work at Edison Illumination. Right off the bat, we learn a fundamental agile lesson: get as many heads in the room as possible, because no matter how bright you are, you'll always have blind spots that others can help you see. Brilliant as Edison was, he was blinded by his own ambition and invention and didn't see the potential of Ford's work. By 1901, Ford had secured numerous investors for his project, who - unsurprisingly - wanted to call the shots. He quickly became disillusioned, believing those who invested with the sole purpose of making a quick profit were merely reacting to what his competitors were doing, an antithesis to what he was trying to do. Another agile nugget: you can't get ahead in business or life, or forge a better future or product, by simply reacting to what other people are doing. Ford believed his investors didn't have a deeper understanding of what he was doing; they saw there was a practical application for his engine, and a possibility to make money, but they didn't understand the product, nor did they share his vision for it. So he fired them, and in 1903, founded the Ford Motor Corporation on his own. At this point, the agile principle scoreboard really starts to tick over. Ford knew his product from stem to stern. He was a master engineer but he was also incredibly people savvy. Agile teaches us that if you take either of those and separate them, you have a problem. If you don't understand your product but connect with your customers, you don't have anything to sell them. Likewise, you may understand your product implicitly but don't connect with your customers, so you can't sell them anything either. Ford also understood that change was inevitable. He coined the classic quote: "One must wake up anew every morning and keep awake every day." And this one: "I saw a business once great become a ghost of a name because someone thought it could be managed just the way it always had." Sound familiar? Remember, this is a man speaking in 1903, while the very same principles are right on the money today. Ever come across the stock-standard corporate line: "Well, it's always been done that way?" You'll probably know it's a really, really expensive attitude to have, because of how much money it takes to fix it. Simplicity was another Ford - and agile - hallmark. If he wanted everyone to buy his cars, they needed to be easy to drive, and more importantly, easy to maintain. They also needed to be easy to build. In doing so, both company and customer could quickly realise the value of the product. As a result, all the processes used to produce his cars were driven by changing technology, changing practices and around people. Oddly enough, 30 years later and halfway across the world, Toyota coined the term 'kaizen' to describe 'good, continuous change', so that you never see a process as perfect but something that is always evolving. Two minds - Tahichi Ono in Japan and Henry Ford in America - separated by oceans and several decades, yet united in common principles that remain true and relevant today. But, I digress. Ford's ultimate vision was to build a great product that was endlessly adaptable, never static and always evolving. He critically examined everything; not just the product, but the way it was built and who was building it, and implemented the idea of constant feedback. He was known to be really proud that his products endured beyond what they were initially designed for; one story recounts his pride that a Model T engine that had spent 15 years on the road was still serving duty as a water pump on a farm in New Mexico long after the car was scrapped. By all accounts, Ford was, at the same time, incredibly humble and open to new ideas. He knew that no matter how brilliant he was or how well he understood his product, he needed the input of other people to succeed. He democratised his company by paying his people significantly more than the market rate, and never saw anyone as an expert (since his products were always evolving and never perfect, how could anyone profess to be an expert in that product). He believed everything could be done better, and that nothing was impossible, and distilled these beliefs to his people. The products they built were there to serve their customers. They were the best products at the best price that delivered absolute value, and as any agile practitioner will tell you, if you can't offer value, you have nothing of value to offer. There's more: he automated the most dangerous and repetitive jobs, putting people with greater expertise in new roles where their knowledge could be better used. Back in 1903, he was doing the things we're still struggling to get companies to do in 2016. And more: he flattened rules and hierarchies, believing they were only good for dividing people and playing power games, neither of which he considered acceptable business practice. If you divide responsibility, he said, in effect you remove that responsibility. Building the best product at the best price was the responsibility of everyone in the company. Our product, our business; solid agile principles. Ford created a market where there was none. Before he made it commonplace, no one knew what a car was. They rode horses or they walked. A century later and you can say the same thing about a certain company espousing the virtues of smartphones and tablets. Ultimately, he achieved it through the knowledge that his greatest work would be a product that resonated with his customers; something they could immediately see the value of in their own lives, even if they hadn't conceived of the idea before they saw it. Get as close to your customers as you can so you can better meet their needs. Agile 101 or, as I sometimes call it, Model T Agility.